Pinnacle Investment Management partners with a growing number of boutique fund managers. 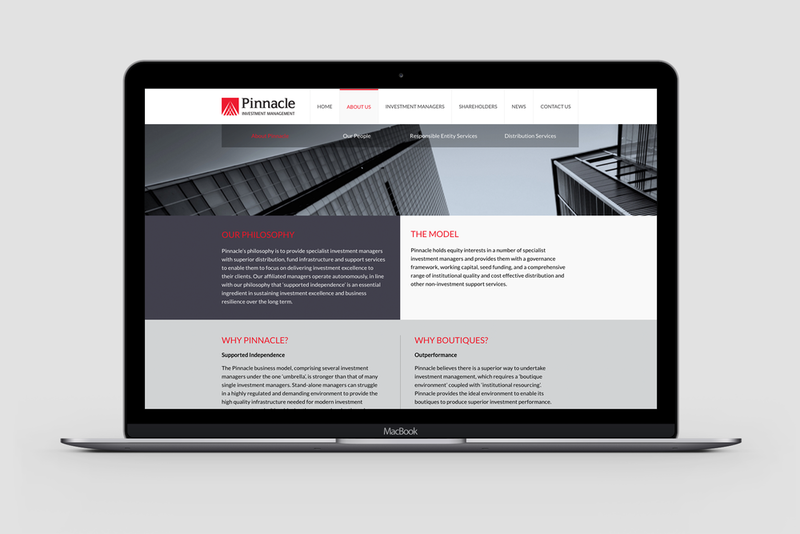 To improve the distribution of its funds, we were asked to refresh the branding and website for Pinnacle and its fund managers. Our brand development included a revamped website with a focus on demonstrating the growth of the brand locally and internationally. It provided easy access to the fund managers as well as being able to accommodate more managers in the future. It also improved access to content such as dynamic ASX widgets. In addition, we created two new websites for Solaris Wealth and Spheria that showcase the uniqueness of each manager.